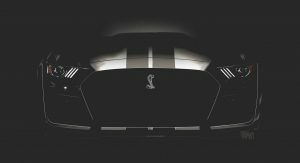 Ford has released a handful of teaser images showing everything from the Bronco to the highly-anticipated Mustang Shelby GT500. 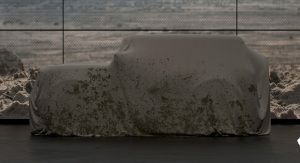 Unveiled as part of a larger presentation, the teaser images give us our first glimpse of the all-new Bronco which will be launched in 2020. 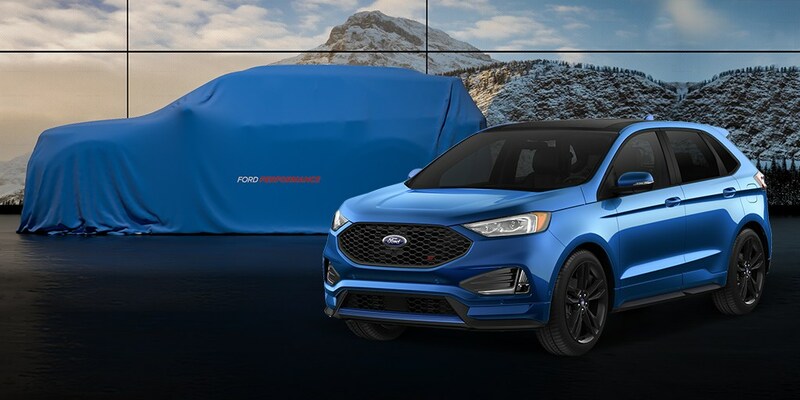 While the SUV is covered by a sheet, you can clearly see rumors about the model being a rebadged Ford Everest were dead wrong. Instead, the Bronco appears to a Jeep Wrangler competitor as it has an upright fascia, a relatively flat hood and a rear-mounted spare tire. 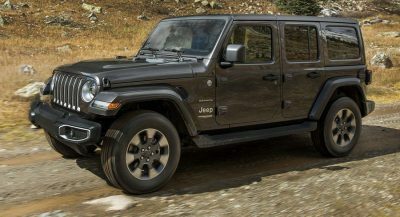 The model also has relatively large wheel openings which suggest owners could easily swap out the standard tires and wheels for a more off-road focused setup. Ford didn’t say much about the model but, judging by its size, the Bronco could be a two-door SUV. The model also appears to be relatively faithful to the well-received Bronco concept from 2004. 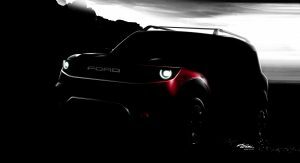 As you can see, the model will be a relatively small SUV which features circular LED headlights and a slender grille with Ford lettering. Additional details are hard to make out but the model has plastic body cladding, a roof rack and metallic accents. 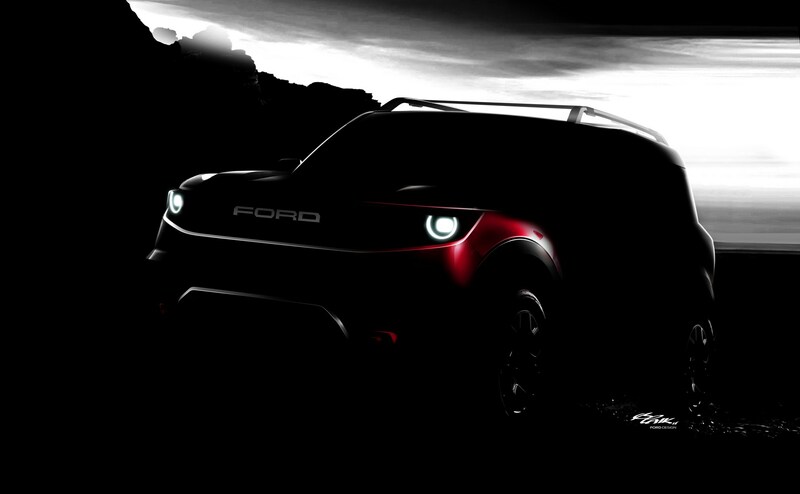 Sticking with crossovers and SUVs, Ford confirmed the next-generation Escape and Explorer will be unveiled next year. 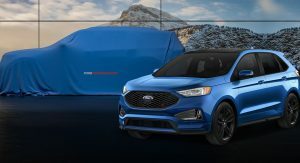 An Explorer ST will “soon follow” and the company says the model will is one of 12 new Ford Performance vehicles coming by 2020. 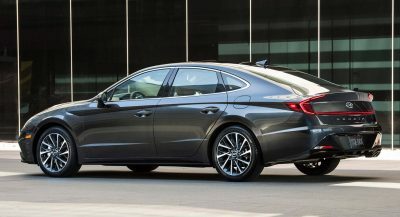 The teaser image doesn’t reveal much but reports have suggested the crossover will come equipped with the same twin-turbo 3.0-liter V6 engine that resides in the Lincoln Continental and MKZ. It produces 400 hp (298 kW) and 400 lb-ft (542Nm) of torque. This would be a modest jump from the 3.5-liter EcoBoost V6 which develops 365 hp (272 kW) and 350 lb-ft (474 Nm) of torque in the Explorer Sport. Finally, Ford released a new teaser image of the Mustang Shelby GT500. 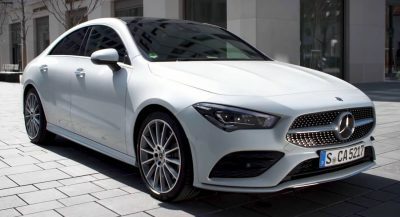 Originally announced in January, the high-performance model will apparently have pre-facelift headlights and a massive grille with a prominent Cobra emblem. We can also see black body stripes and what appears to be a front splitter. Ford should make Bronco its own brand and mimic Land Rover and Jeep. That’s a terrific idea. Purpose built off-roaders to compete against (mainly) Jeep with the typical features found in many Fords. I doubt Ford would want to lose out on that brand equity, but as far as enticing consumer perception, it wouldn’t be such a bad idea to split the brands. Ford cars & trucks can/have stood on their own without the Bronco for 20+ years. Bronco would survive on it’s own if done right too. And I think Ford would do it right. I might even give up my FJ Cruiser for the new Bronco. That silhouette looks damn good. Not sure how to feel about the new GT500. Disappointing that the Shelby GT500 still uses the older front end, and not the new styling. Looks out of date already. But the refreshed front in gaudy. That’s a stylish looking front end on the Bronco. You mean, that’s something else? Crap. well this is embarrassing. Its probably that Mach something electric SUV they were going on about. How about Falcon for that new small SUV, it will never be on a car again in the US and the name would fit a small capable SUV. Better than Bronco II. 12 new performance vehicles. Interesting. Focus ST is a given. Possibly Ecosport ST. What else? 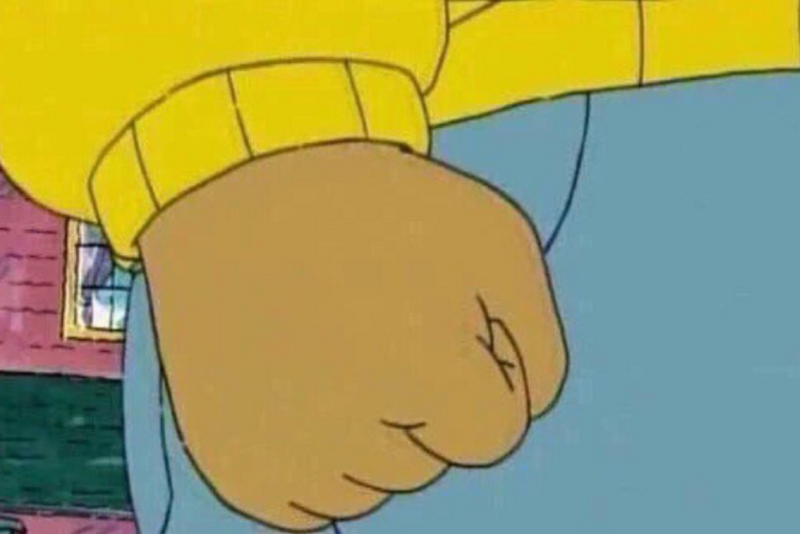 Transit ST? I don’t even care if the GT500 doesn’t use the front end styling of the current Mustang. It looks better without IMO. The refresh doesn’t look good at all. LOL… I know what you mean 🙂 I liked the rendering too. How can you see how it looks like? It’s under a cover. Well for one I won’t play with my mind like that and “hope” that it will look like the rendering I fell in love with…It’s not about what it looks like, it’s about what it won’t look like…capisce?! Don’t get why all of the bitching is about with the Shelby .. thing looks sinister! Kids king the Bronco look..
Well done team Ford! Thank you for staying true to the classic Bronco design. I hope we get two and four door models. I say it is about time Ford reassert its truck strength! I like the front of that GT500! It’s badass! 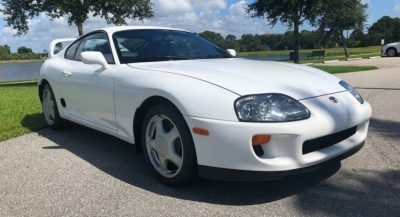 But why did they use the old front end? Probably developed the car before the face lift and decided to stick with it. Same thing with the raptor. the development took started pre-facelift so they are being cheap and sticking with it. 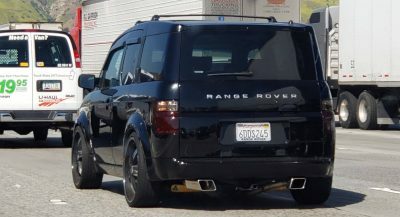 Not sure why they chose to hide the whole Explorer ST, not like its gonna look the much different in that side profile from the current Generation. What is up with the Audi grille? A5/S5/RS5 much? What’s with the Galpin Rocket front, makes it look weird on the Mustang. Ford you had my interest now you have my attention (apart from hateful looking explorer). Bronco looks really promising GT500 looks interesting. Let’s see. YES YES YES! I was afraid it was just gonna be a Ranger suv. I love Jeep, but it has had this market all to itself for far to long. This “teasing/camouflage” era of design roll outs it’s getting irritating.